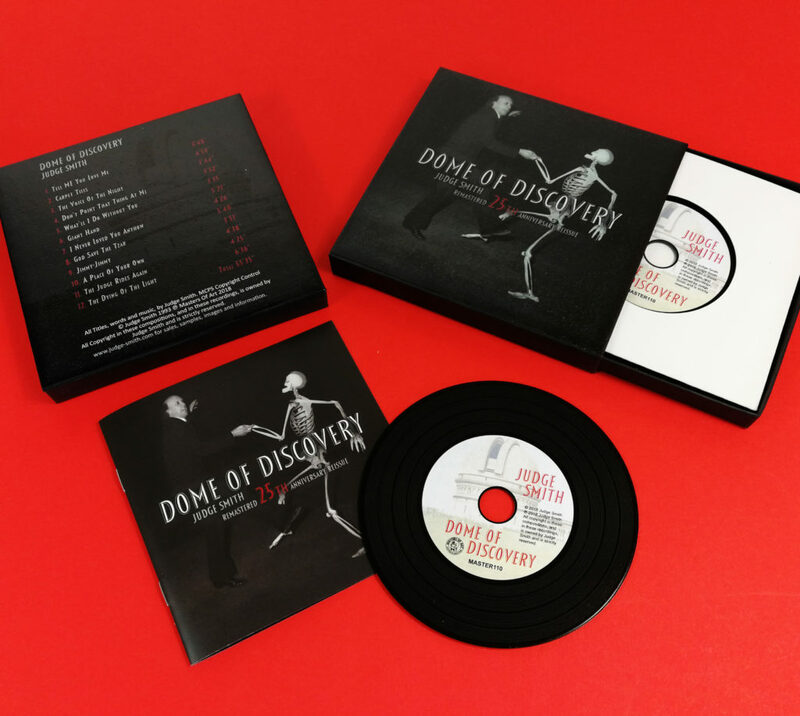 The high quality rigid CD box sets are an impressive way to package a singles or multi-album collection, being suitable for a wide range of different wallet sizes and with the option of full colour, white or spot gloss UV LED printing or metallic hot foil printing on the cover and base. The boxes are available in white, black or brown Manila card. 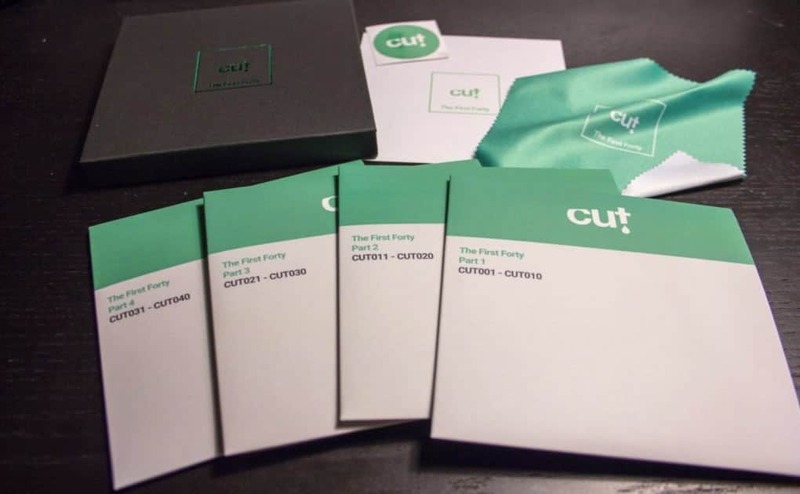 Within the boxes there is space to fit seven CDs in normal printed card wallets or five CDs in our premium vinyl wallets that have oversized outer wallets and then record-style inner wallets containing the discs. 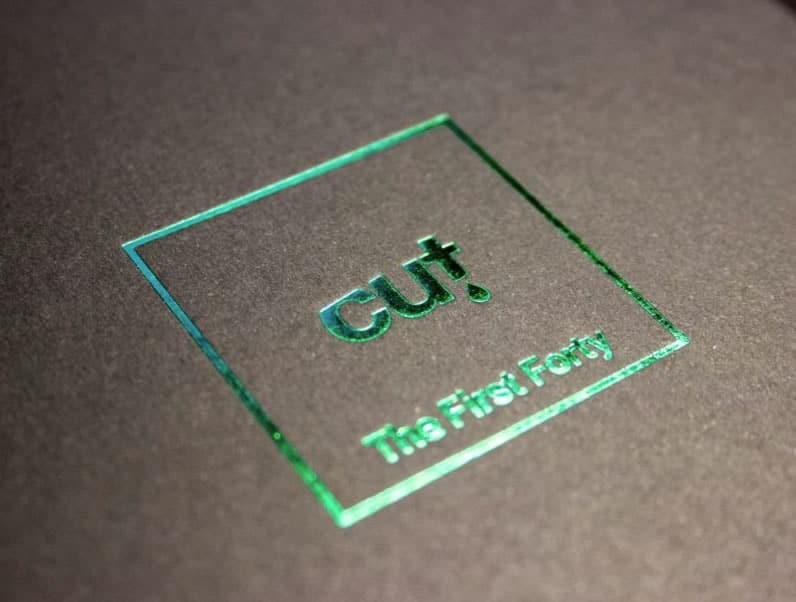 Alternatively one of the disc spaces could be substituted for a booklet. These boxes are still suitable if only including one or two discs as there is a removable foam insert that can help to pad the remaining depth. 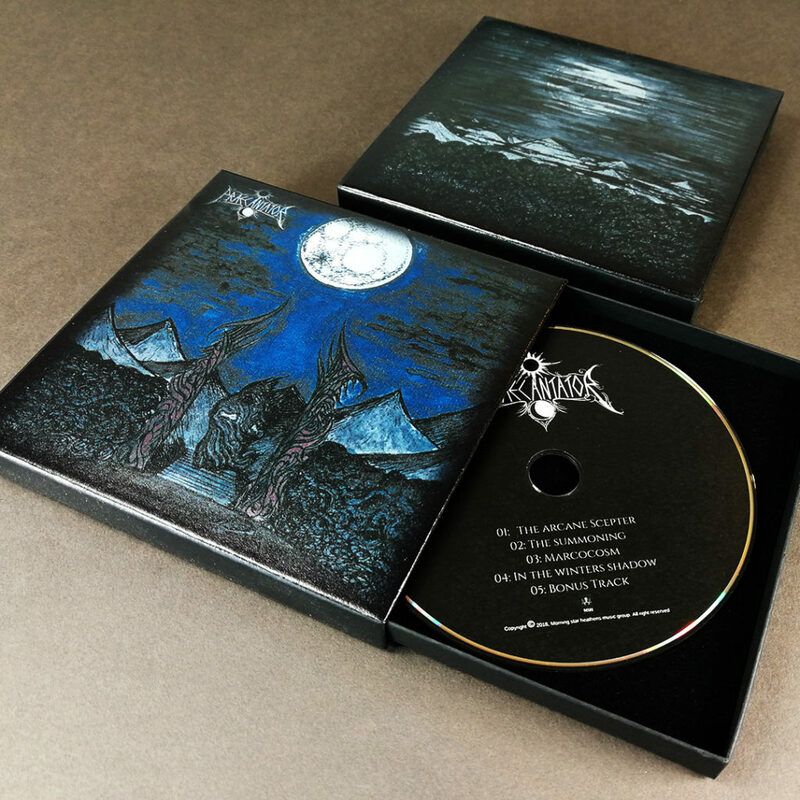 The pricing below is for the boxes on their own without any discs or booklets included. 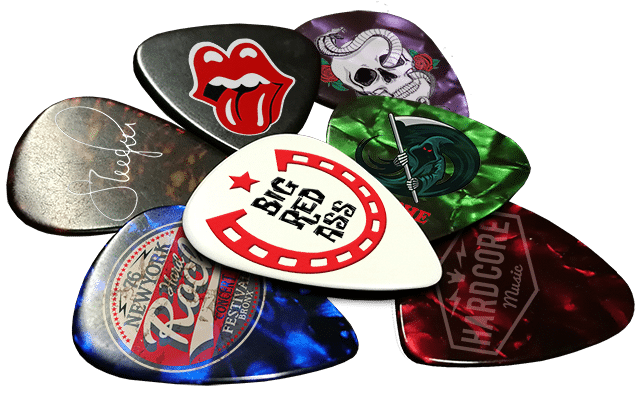 If you wish to add any discs to the order then please just include the standard pricing on this site for the discs themselves, although if you are ordering these boxes (printed or unprinted) and finished discs as part of the same order then we will knock 5% off the total cost. 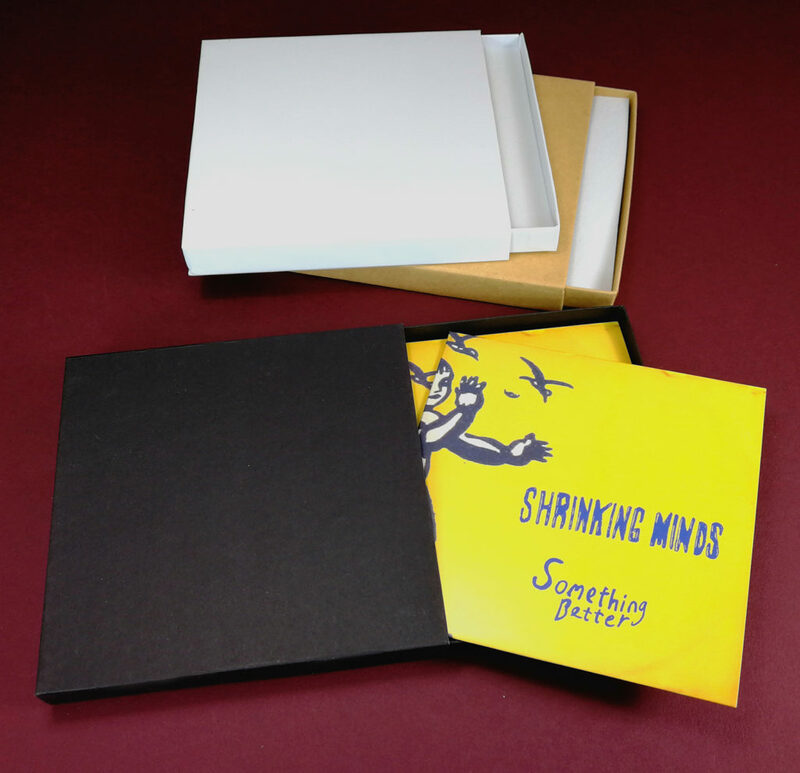 Matchbox-style CD/DVD boxes (black, white or brown Manila) with full colour printing (including a partial white base layer, if required) on the top. 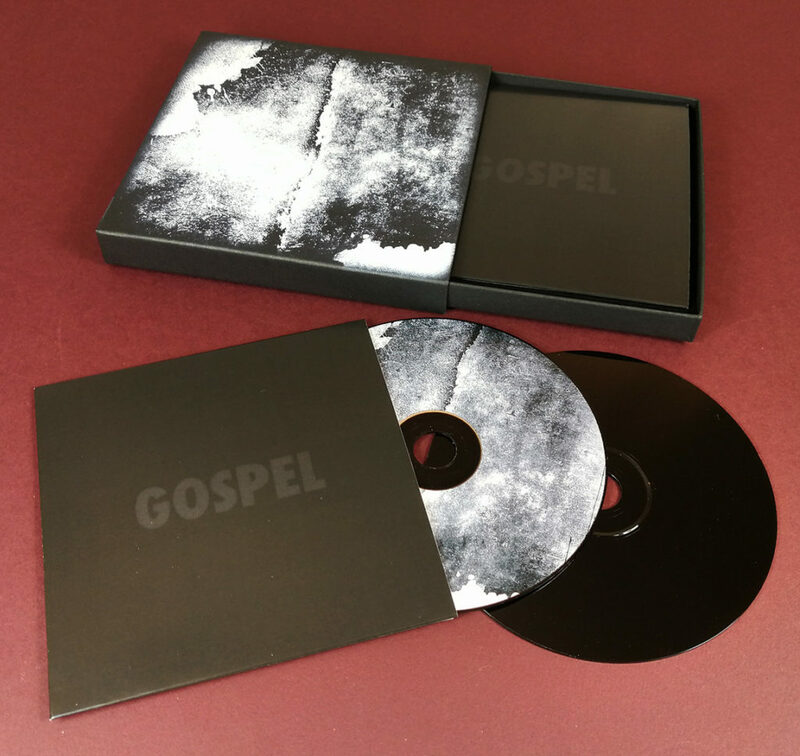 Matchbox-style CD/DVD boxes (black, white or brown Manila) with metallic foil printing on the top.